If you’ve ever needed to rush out to fight crime and couldn’t find your supersuit — of if you just needed to catch a train and couldn’t find your wallet — Slovenian start-up Chipolo’s might just have a solution. The Chipolo Card measures in at 2.15 millimetres, and is able to produce a 95-decibel sound. Chipolo says that the Card’s ring is roughly the same loudness as a subway approaching a platform from a distance of 200 feet. The Card can be stored in places like wallets, purses and backpacks. Like all of Chipolo’s products, the Card can be tracked and controlled through the company’s iOS or Android apps. “When your item goes missing within 200 feet of you, you can sound a 95-decibel ring to locate it,” reads an excerpt from Chipolo’s media release. If the Chipolo Card is outside of the 200-feet range, users can locate it using the Chipolo app. The company claims that the real value in the product is a result of Chipolo’s community of users. “You can mark your Chipolo Card as lost through the app, and when someone within the Chipolo Lost and Found Network comes within range of the item, you are instantly notified,” reads another excerpt. Chipolo is also working with brands like Perry Ellis to integrate the tracking technology into third-party products. 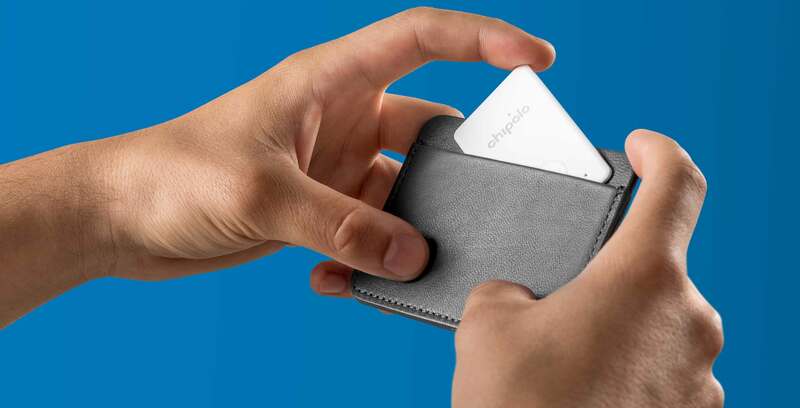 “We’re doing this by unifying our products as well as our business partners’ products into one massive community that anyone can take advantage of to locate missing items,” said Primoz Zelensek, CEO and co-founder of Chipolo, in the same release. The Chipolo Card will be available in September 2017.